where one could rent a horse and buggy for a business trip or a Sunday drive. The livery stables were frequent hangouts for juveniles. EDWARD EVANS – Edward R. Evans, proprietor of livery stable; born in Cardiganshire, South Wales, Nov. 21, 1822; came to America in 1840; located in Utica, N.Y., one year; spent two years in Lexington, Ky., and some time in St. Louis and other places before coming to Watertown in the spring of 1846; engaged in blacksmith and wagon-making business here until 1870, when he engaged in livery business. 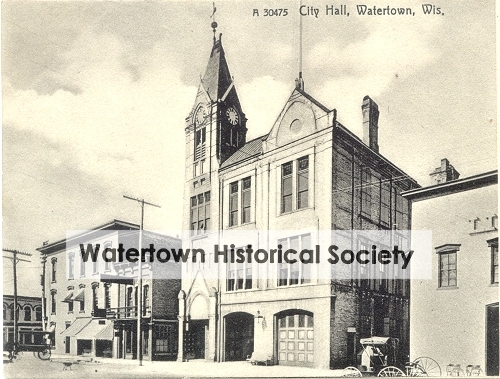 He was married in Delafield, Waukesha Co., Wis., Nov. 13, 1846, to Sarah Jones; she was born in Cardiganshire, South Wales; they have six children – George W. (associated with his father), Sade (now Mrs. Eugene Bradbury, of Watertown), Gomer E. (a resident of Chicago), Eliza, John Quincy (telegraph operator for the C., M. & St. P. R. R. Co. at this place) and David C. (who resides with his parents). 1881 EDWARD EVANS, IN MEMORIAM, Father of George W.
Another of Watertown’s best citizens has passed away. On Tuesday evening, October 25, 1881, E. R. Evans departed this life, at his residence in the 3d ward. His death was the result of injuries received in a runaway on last Saturday afternoon at Hubbleton. Mr. Evans hitched up a team of horses and took a traveling man to Waterloo on said day, and while returning in the evening his horses were frightened and dashed along the road at Hubbleton at a furious rate of speed, throwing Mr. Evans on the ground, injuring him fatally internally. He was found in a helpless condition and taken to a neighboring house, where he was kindly cared for until Sunday evening, when he was taken to this city on a hand-car. Dr. M. N. Barber was called to the assistance of the injured man and did all in his power to comfort him, but all to no purpose. He suffered great pain from the time of the accident until he lay cold in death. The deceased was a native of Wales and at the time of his death was in his 59th year. 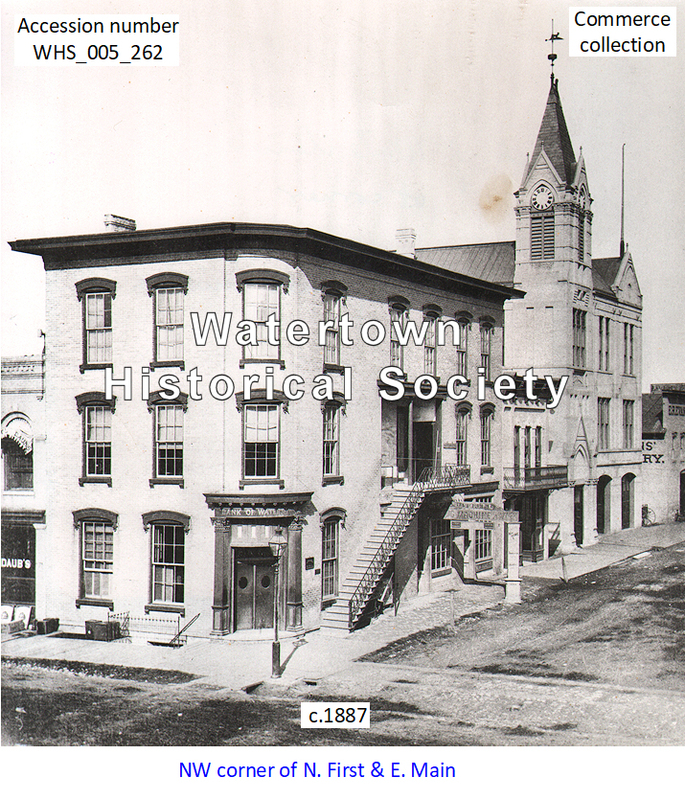 For 35 years Watertown has been his home, and up to 10 years ago he was engaged in the blacksmith business, since which time he has been carrying on a livery stable. Mr. Evans was the father of eight children, four boys and four girls, six of whom, together with his wife, survive him. He was a man of sterling worth, always clear in his apprehension of truth, and very decided in his convictions of duty, in business, politics, and all the transactions of every day life; was prompt and energetic in action, and in all his relations a courteous gentleman - honored and beloved by his family, and respected and esteemed by all who knew him. A good citizen, a true friend, a loving husband and father, was taken from our midst by the death of Mr. Evans. Funeral this afternoon, at 2 o‘clock, from his late residence, in the 4th ward. Burial was in Oak Hill Cemetery. With regard to the Lewis fire, he stated that he and Schlueter planned this fire because they had applied for work at the Lewis factory and were refused. Early in the evening they passed some time in a barn back of the William Pell house in the 5th ward, and then strolled down towards Weber’s lumber yard, thence down to the river bank, and waited around the mills and factory until the electric lights went out. Weigel gave a minute description of the interior of the factory at the place therein where they started the fire on the night in question, so that there can be no doubt of his story being correct. . . .
George W. Evans, who has been very successfully engaged in the livery business here in North First Street since 1882, has sold his livery barn and business to Herman Schmidt, of Fond du Lac, the new proprietor having taken possession last Saturday. Mr. Evans took in exchange for his property a 200 acre farm, stock and machinery located near Fond du Lac, and some business property at Duluth, Minn. J. W. Green, of Fond du Lac, real estate agent, made the sale, and Edward F. Wieman, of this city, was Mr. Evans' attorney in the matter, being at Fond du Lac last week several days looking after Mr. Evans' interest in the deal. Mr. Schmidt comes to Watertown well recommended, and our people wish him success. 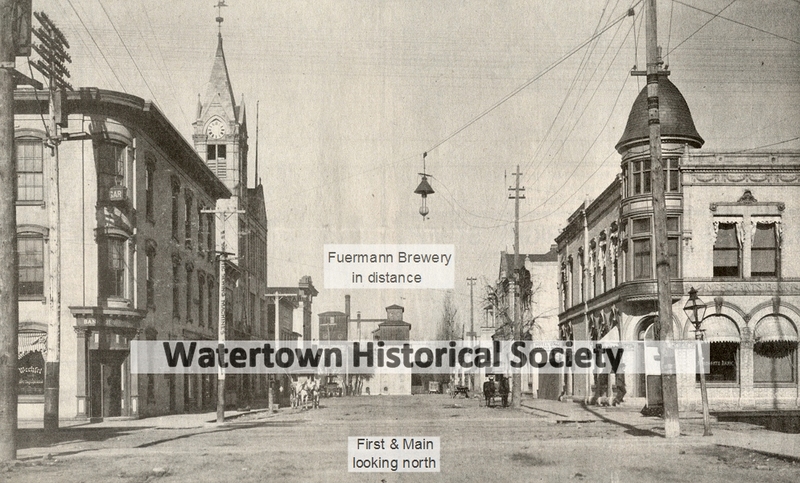 The Fond du Lac Commonwealth says of this sale: A large real estate deal was consummated Friday through E. C. Kraemer of the firm of Newton & Kraemer, and J. W. Green of this city, and Edward W. Wieman and Robert Jones of Watertown, whereby Herman Schmidt of Taycheedah becomes the owner of the Watertown livery barn formerly owned by George W. Evans. Mr. Evans becomes the possessor of the Schmidt farm of 201 acres in the town of Taycheedah and a house and lot in Duluth, Minn. The consideration for the livery establishment was $24,500. Mr. Schmidt's farm and personal property were valued at $18,343, and the house and lot in Duluth at $4000. Mr. Schmidt takes possession of his new property today, he and Messrs. Evans, Wieman and Jones leaving for Watertown this morning. Mr. Evans will also take possession of the farm at once.